The jury does not always have the last word. In this case, the plaintiff won a Title VII retaliation verdict in federal court, recovering $250,000 in damages. The trial court then took away the verdict under Rule 50, and the Court of Appeals affirms. The verdict is gone for good. The case is Levitant v. Human Resources Administration, a summary order decided on March 6. It's always a shock when the trial court grants a Rule 50 motion to vacate the verdict. We assume that the jury must have had good reason to find for the plaintiff, and the trial court under Rule 50 will give the plaintiff the benefit of the doubt in determining if there was any factual basis for the plaintiff to win. As the trial court wrote in this case, "Under our system of jury trials, a jury's verdict has always been accorded great deference, and the court is cognizant of the extraordinary circumstances that must exist to overturn a jury's determination." According to the trial court, though, this was one of those extraordinary circumstances. To win a retaliation case, the plaintiff has to show, among other things, that he suffered an adverse or negative employment action as a result of the complaints of discrimination. Not everything is an adverse action. Short of a demotion or termination from employment, the employer's reaction to the protected activity must have dissuaded a reasonable employee from speaking out again. 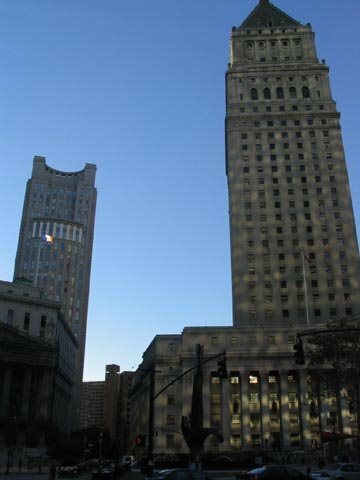 According to the trial court, in addition to a promotion denial, plaintiff identified three such adverse actions: "(1) plaintiff's suspension after his departure from Brooklyn [Adult Protective Services] on August 8, 2003 and during his subsequent vacation and medical leave of absence; (2) the weeklong delay in plaintiff's reassignment to Lombardi [a long-term home health care program] after his return from medical leave; and (3) plaintiff's transfer to Lombardi, which entailed a longer commute, the performance of supervisory tasks with a caseworker title and salary, and a prohibition on plaintiff speaking Russian on personal calls in the office." As for the suspension, the trial court said, "[b]ased on the complete lack of any evidence that plaintiff's suspension was without pay, otherwise changed the terms and conditions of his employment, or was unreasonable or procedurally flawed, a jury could not find that the suspension constituted a materially adverse employment action." As for the weeklong delay in plaintiff's reassignment, the trial court said, among other things, that "Plaintiff failed to present any evidence that he lost any salary, rank, or benefits as a result of the week he spent at Personnel, that plaintiff was required to stay in Personnel any longer than was necessary to arrange his reassignment, or that the delay or lack of any work assignments in any way negatively affected his career." The court added that "there is no evidence in the record suggesting any other reason, whether retaliatory or not, for the week plaintiff spent at Personnel, there was insufficient evidence for the jury to conclude that plaintiff satisfied his burden to establish that retaliation was a substantial reason for his placement at Personnel for a week." The Lombardi transfer was also not adverse. Summing up its lengthy analysis of this issue, the trial court said that "it is undisputed that plaintiff was transferred to Lombardi because he was returning from an extended medical leave of absence and plaintiff presented no evidence that he ever opposed the transfer to Lombardi." The promotion at issue went to two candidates who achieved higher scores than Levitant on the test used to select interviewees. No trial evidence rebuts this legitimate non-discriminatory reason for promoting these applicants over Levitant. Although Levitant, who had the third highest score on the test, points to some evidence suggesting that promotions could have been made among the top three candidates, he adduced no trial evidence indicating that HRA had, in filling other positions, passed over the first or second highest scorer in promoting the third highest scorer.